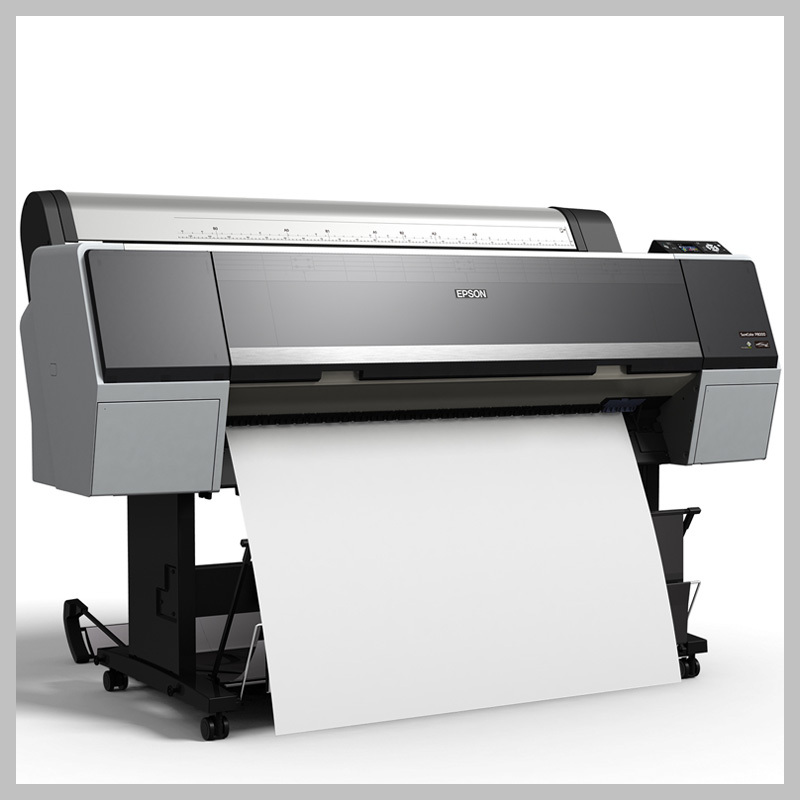 Designed for general purpose graphics and photographic applications, they incorporate our latest imaging technologies - including an exotic Epson PrecisionCore® TFP® print head, along with our unique Epson UltraChrome® HD eight-color pigmented ink set. Epson Intelligent High-Capacity Ink System: nine individual ink cartridges; available in 150ml, 350ml, and 700ml fill volumes. 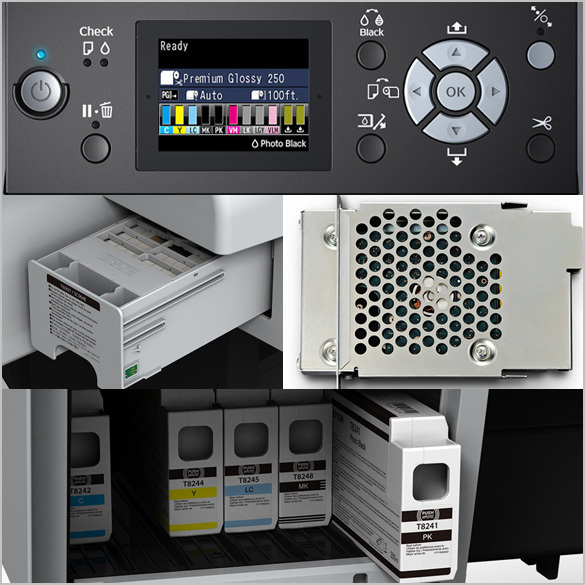 SureColor P-Series printers are designed to work exclusively with specially formulated Epson inks, and not with other brands of cartridges or inks. SureColor P6000: 10", 11.8", 13", 16", 17", 20.3", 23", 24"
SureColor P8000: 10", 11.8", 13", 16", 17", 20.3", 23", 24", 33", 36", 44"
Print times are based upon print engine speeds only. Total throughput depends upon front-end driver/RIP, file size, printing resolution, ink coverage, network speed, etc. Production is for prints imaged using 1440x720 high-speed mode.